Adrian grew up in Tampa, FL and started acting at the young age of 14. During his senior year, he truly identified his passion for acting when he landed his first full-length theatrical production. His high school was looking for the lead dancer in the musical Fame, so Adrian auditioned and the rest is history. He grew up playing baseball, football, and basketball, but above all dancing and acting were his life. In his dancing career, Adrian participated in countless hip-hop and breakdancing competitions in which he was extremely successful. Ultimately his love for dancing launched him into acting. His experience as a young actor has inspired him to co-found Creative Group TV, a program dedicated to helping other young people break into the industry by providing unparalleled teen and child acting classes in LA as part of an industry-immersive program. This program not only offers traditional acting and improv lessons for kids in LA, but also focuses heavily on audition training and techniques which will prove invaluable when it comes to booking jobs. Kids and parents will have the opportunity to learn about the ins and outs of the industry from commercials to film. Keep reading to learn more about Adrian’s work in film and TV, and check out some of our successful program graduates and celebrities that we work with. Adrian has worked in countless television and film roles. His TV and film credits include: CSI, 24, Alias, CSI:NY, Summerland, JAG, Frasier, Moesha, The Wayans Brothers, S1m0ne and The Suite Life On Deck. 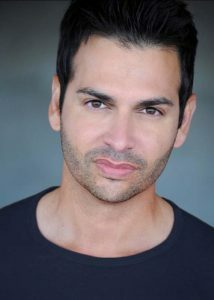 Adrian can be seen on the Disney Channel and Netflix playing the role of Esteban Julio Ricardo Montoya De La Rosa Ramirez in the mega-hit television show The Suite Life of Zack and Cody. This is Adrian’s most visible character to date, and by far Adrian’s favorite role (although his role on 24 is a VERY close 2nd). Ready to audition? Click here to register for the Creative Group TV Program! McCormick first took an interest in acting in 2006 when she joined The Corsa Agency in Los Angeles. McCormick’s first onscreen appearance was uncredited, in the television series Til Death at the age of nine. In 2007, she beat out thousands of other children to be cast in second season of the game show Are You Smarter Than a 5th Grader? McCormick also guest starred on the Disney Channel series Hannah Montana in the 2008 episode “Welcome to the Bungle”. She and China Anne McClain played girls who ask Hannah Montana questions during an interview. She also co-starred with McClain in the film Jack and Janet Save the Planet. Her other acting credits include the film Ramona and Beezus in 2010 as Susan Kushner and the television film A Nanny for Christmas in 2011. In 2011, McCormick was chosen for the role of Olive, a girl with an eidetic memory, in the Disney Channel series A.N.T. Farm. She was cast after an audition where she continually talked about tigers. Dan Signer stated, “And as I heard her continually talking about tigers, I thought ‘That’s just how Olive would sound.’ Which is how Sierra got that part.” According to an interview with McCormick, getting the role was easy because she and China were already friends from their previous work experience. Tanya Chisholm is blossoming into one of the most sought-after young talents in Hollywood. The actress currently stars as Kelly Wainwright on Nickelodeon’s hit boy band series Big Time Rush. Before hitting the “big time”, Tanya’s gift to tell interesting and compelling stories earned her the recurring role of Nancy Cooper on the CW’s Veronica Mars as well as memorable guest spots on shows like CBS’s Ghost Whisperer, CBS’s Cold Case, and Disney Channel’s Cory in the House. Tanya also garnered legions of fans when she shared the screen with Zac Ephron, Vanessa Hudgens and Ashley Tisdale as the main Sharpette Jackie in the monster hit Disney Channel original movie High School Musical 2. Other TV movie roles include playing Marcie in MGM’s Legally Blondes – the third installment of the popular film series, which aired on Disney Channel and ABC Family. Tanya continues to live in Los Angeles. When not working, she enjoys mentoring young people during CGTV’s acting lessons for kids in Los Angeles, volunteering, yoga, hiking, ballet and spending time with friends and family. A successful graduate of our child and teen acting program in Hollywood, Bex Taylor-Klaus was born and raised in Atlanta, GA, a fourth generation Atlantan. She has two passions that she has pursued throughout her life: sports and acting. An all-around athlete, Bex played on her high school varsity softball team as a freshman (catcher & 3rd base). Bex’s acting training started with Shakespeare in an after-school program in the 3rd grade, and was a consistent part of her extracurricular life and summers. In high school, Bex performed in her school’s Improv Troupe – she loves comedy and Improv – and with friends started a Junior-High Acting Troupe to train young actors. Tyler Steelman was born on August 10, 1990 in Antioch, California as Tyler Craig Steelman. He is an actor and writer, known for 17 Again (2009), Beowulf (2007) and Youngsville. He has also worked on shows such as Disney’s The Suite Life of Zach and Cody, TBS’ Cougar Town with American Academy Comedy Award nominee Courtney Cox, and Workaholics. Tyler is an avid CGTV supporter and works alongside Adrian to help train the actors of tomorrow in our acting classes for children, teens, and young adults. You know Alyson as a star of Disney Channel’s Camp Rock movie, as the voice of Isabella on Disney’s award-winning animated series Phineas and Ferb, and as the infamous pig-tailed dancer in the Missy Elliot music videos. Also released was Kung Fu Magoo, Disney Channel’s Camp Rock 2: The Final Jam, and The Little Engine That Could (Alyson is the Little Engine). She also had a guest starring role on the medical series House. Her other credits include Cheaper by the Dozen 1 & 2, Step Up, The Alyson Stoner Project, The Suite Life of Zack & Cody, and her lead role in Alice Upside Down. Hutch Dano booked the lead role of Zeke in the pilot Zeke and Luther on Disney’s XD Channel, which was quickly picked up as a series. After wrapping his first season, Hutch booked the role of Henry, starring opposite Selena Gomez in the 20th Century Fox feature Ramona and Beezus, playing Beatrice “Beezus” Quimby’s friend Henry Huggins. Hutch also guest-starred on Disney Channel’s The Suite Life on Deck. We’re proud to have Hutch as part of the team at our young actors’ program! In 2010, Cameron Goodman took lead roles in Disney Channel’s Sharpay’s Fabulous Adventure, Phineas and Ferb, as well as SyFy’s original series The Phantom. A series regular on MTV’s Disaster Date, Stars!’ original non-scripted comedy Head Case, and MTV’s Wild N’ Out. She can also be seen on Disney Channel’s The Suite Life of Zach and Cody, as well as ABC’s The Forgotten, TNT’s The Closer, A&E’s The Cleaner, AMC’s Mad Men, CBS’s Cold Case, CSI NY, and NCIS, ABC’s Sons and Daughters and FX’s Sons of Anarchy. Cameron began studying improv in high school in Washington, D.C., and clearly, that experience has served her career well — one of the reasons that we offer improv lessons for teens and kids in our Hollywood acting program! Possessing a naturally rich bass quality, Geno Segers’ voice gained him enough attention to attract an agent’s ear. This led to Segers being cast in the role of Mufasa in the an Australian stage production of The Lion King. With an intimidating voice and appearance, Geno is best known and identified with the comedic series Pair of Kinds, aired on the Disney Channel. On the series, Geno plays the role of Mason Makoola, the fearsome father of Mikayla Makoola (played by Kelsey Chow). We are thrilled to have a talent like Geno helping coach young actors in our childrens acting program. Matthew Timmons started acting for fun at a young age. He started with improv and classes here and there until later on he realized he could do this professionally. He then landed an agent and started with his professional acting career. You might know him from Disney’s hit show The Suite Life on Deck as Cody’s roommate, Woody. Daniel Curtis Lee is best known in Nickelodeon’s Ned’s Declassified School Survival Guide, in which he played the nerdy Simon Nelson-Cook, known as “Cookie” or “P Cookie”. Lee has also appeared in other television shows such as First Monday and The Shield, and motion pictures such as Friday After Next. He recently starred in Zeke & Luther as Kojo. Daniel’s experience as a young actor makes him an invaluable resource at our children and teens acting program in Hollywood.